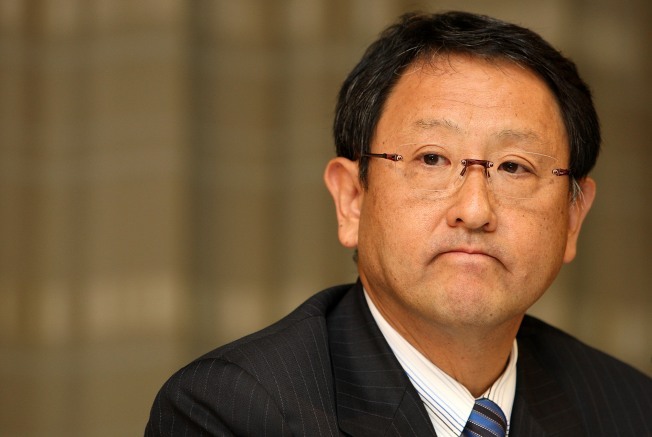 Embattled Toyota may wind up winning the battle but losing the war. Confounding critics, the Japanese manufacturer has long asserted that two recent recalls resolve problems with so-called sudden acceleration, going so far as to challenge some owners claiming their Toyota products have raced out of control. Now, preliminary research by the Department of Transportation suggests the world's biggest carmaker may be right. Analyzing in-car data recorders, the automotive equivalent of aircraft black boxes, federal safety regulators are finding many accidents were caused by driver error rather than mechanical problems. But the steady stream of headlines, a series of unrelated recalls, and a sharp plunge in quality surveys are all taking a toll on the maker. A new study from Experian Automotive shows its steady growth in the marketplace has gone into reverse. For all of 2009, Toyota captured a 16.2 percent share of the American new car market, off just 2.1 points from leader General Motors, but well ahead of third-ranked Ford, with 14.2 percent. For the first quarter of 2010, Toyota slipped to third, at 15.6 percent behind Ford, with 16.7 percent, and GM at 18.4 percent. The question, analysts ask, is whether Toyota can ever regain its lost momentum. On the long list of recalls that have so far involved more than 8 million cars, trucks and crossovers, the two largest are related to the sudden acceleration scandal. The first, last October, aimed to correct a problem caused by loose floor mats, which could jam a vehicle’s accelerator pedal and make it difficult to slow down. The second, launched in mid-January, targeted potentially sticky accelerator pedals. Toyota vigorously countered claims that its products were also plagued by mysterious electronic glitches that critics contended could cause vehicles to race out of control, with motorists unable to use the brakes to slow down. The study is far from over, and federal regulators will not yet comment on their initial findings. And even if regulators eventually issue a report in Toyota’s favor it doesn’t dismiss the automaker’s own admission that it had a series of mechanical problems that could cause sudden acceleration. Indeed, even a completely clean bill of health might not be enough to overcome Toyota’s problems in the marketplace. Consider what happened to Audi. In the mid-1980s, its 5000 sedan became the target of numerous sudden acceleration claims. In 1989, NHTSA issued a strongly worded conclusion insisting driver error, rather than mechanical problems, was to blame. But the damage was done to Audi’s reputation and by 1992, with sales off 80 percent from their peak, the Volkswagen subsidiary gave serious consideration to abandoning the U.S. market. Though it ultimately chose to stick it out, Audi sales still lag other key import competitors. Toyota has far more problems than just the headline-dominating sudden acceleration problem. Other recalls have covered everything from Prius hybrids with faulty brakes to pickups and minivans with such severe corrosion they can drop spare tires in the middle of the road. Last month, the maker’s luxury arm issued a stop-sale on its Lexus HS250h, a hybrid model that, according to government crash tests, can leak excess amounts of fuel in a rear-end crash. That was followed by a recall of 138,000 Lexus sedans sold in the U.S. due to engine defects. That latest recall again raises concerns about cover-ups, as the maker knowingly replaced the faulty engine valve on new models built after mid-2008. Earlier this year, Toyota paid a record $16.4 million fine for failing to promptly advise NHTSA about the sticky accelerator problem. A recent study by J.D. Power and Associates found Toyota suffering from a sharp rise in quality problems. David Sargent, a senior analyst with the research firm, said Toyota’s drop from 6th to 21st in the 2010 Initial Quality Survey suggests owners are now less willing to ignore problems they’d once dismiss. Experian's study shows a definite slide in momentum for a carmaker that, just a year ago, seemed poised to become number one in the U.S., as it did worldwide the year before. By virtually every metric, said Jeff Anderson, Experian’s director of consulting and analytics, Toyota has taken some serious body blows. With the exception of Chrysler, it posted the lowest sales gains, at 8.5 percent, of any major automaker during the first quarter. And its once-strong Yaris subcompact posted one of the biggest declines in a market steadily shifting from big trucks to small cars. “Toyota traditionally had a large chunk of its sales come from domestic buyers who never owned an import,” Anderson added, but the number of buyers “conquested” from domestic brands fell by nearly half during the quarter. Since March, Toyota has offered lavish incentives to lure in buyers, and hopes a new ad campaign will address concerns about quality and safety. But few observers believe things will go back to the days when the brand was an easy sell, even if NHTSA’s investigation into sudden acceleration ultimately does offer a bit of vindication.